Are Democracy and Despotic Racism Compatible? 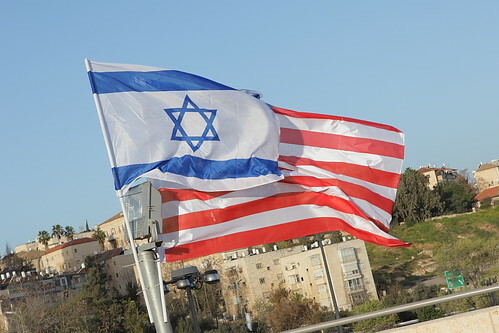 On 25 February 2019, the Jewish American publication Forward, printed a remarkable opinion piece by Joshua Leifer. Leifer, who had worked in Israel for the anti-establishment +972 Magazine, is currently an associate editor of Dissent. His piece in the Forward was entitled "Wake Up, American Jews: You've Enabled Israel's Racism for Years." Leifer begins by saying that the Israeli right-wing political parties have always been racist, though there was a time, back in the 1980s, when they objected to being too up-front about this. Thus, for the sake of public relations, they held their violent and despotic fringe -- the Kahanists -- at arm's length. As Leifer puts it, what was frowned upon was the style rather than the substance of "explicit, violent racism." That objection is now gone. The goal of a "Jewish supremacist state" is out in the open -- an explicit political goal. And the Palestinians, including those who are Israeli citizens, are to be condemned to "forever live subjugated under military occupation, confined to isolated Bantustans, or ... expelled." Those Jews, both Israelis and diaspora Jews, who object to this process will be labeled as "traitors." Having established these facts on the ground, Leifer asks "how has the American Jewish establishment responded?" His answer is, they have either been silent or, more often, have actively sought to enable the power of Israel's despotic racism. They have cooperated with, lobbied for, and raised money to underpin Israel's racist policies. Of course, a Zionist is sure to assert that the lobbying and money are pursued for the sake of Israeli security. Yet, today's Israeli leaders don't define security, with the possible exceptions of Gaza and the Lebanese frontier, in terms of borders. Instead security is defined in terms of achieving and maintaining Jewish supremacy in all territory under Zionist control. This is why all of Israel's Zionist parties have pledged never to include the token number of Arabs in the Knesset in a governing coalition. In their effort to support Zionist Israel, America's establishment Jewish leaders have proven themselves willing to undermine the constitutional freedoms of their own native country, as has been the case with their relentless attacks on the right of free speech as practiced in the boycott Israel movement -- BDS. In the end, there can be no more convincing proof that these organizations serve as de facto agents of a foreign power, than to see how their leadership willingly discards the modern principles of civil and human rights found in the U.S. Constitution -- to say nothing of international law -- in order to support a state that openly pursues apartheid ends. Leifer offers two possible reasons for why establishment Jewish organizations in the U.S. have chosen this path. The first possibility is "willful ignorance," that is, a psychological inability to face the truth about a state that they, as American Jewish leaders, have always seen as an ultimate haven if a new Holocaust threat arises. The second possibility is that the leadership of the American Jewish organizations are themselves conscious racists when it comes to a Jewish supremacist state. According to Leifer, "No one exemplifies this better than Ambassador David Friedman, whose rhetoric -- calling JStreet "worse than kapos" -- mirrors the kind of rhetoric popular on the Israeli right." This is a strong, and quite searing, condemnation of Israeli society and its American Jewish allies. Still, things can and do get worse. On 4 April 2019, the British anti-Zionist Jewish writer Tony Greenstein posted an essay entitled "There Is Nothing That Netanyahu Has Done That Labour Zionism Didn't Do Before Him." Greenstein begins by citing an 11 March 2019 piece -- in Haaretz written by Amira Haas, one of the few prominent non-Zionist Jewish journalists still working in Israel. Haas draws attention to the fact that "when Israeli governments in the 1960s and 1970s worked hard to steal Palestinian land while quoting God's promises to atheists, they paved the way for parties promoting Jewish supremacy." Thus, as Greenstein puts it: "It is often forgotten that it wasn't Likud but the Israeli Labour Alignment which helped to launch the settler movement." The remorseless absorption of Palestinian land and the oppressive treatment of its native population is not the work solely of the Israeli right wing. From the beginning, all of the major Zionist political parties, left and right, supported these policies as a way of fulfilling Zionist destiny. Haas is unflinching in her characterization of their actions. For her, this "racist messianism" smacks of the policy of "Lebensraum" or "the urge to create living space." Haas goes on to lament the fact that "we thought that in the end, the heads of the Labour movement would learn from the expansionist impulses of other nations. After all, they were the sons and brothers of the victims of Lebensraum." In other words, at least in this policy of expansion and expulsion, all Israeli governing coalitions have adopted behaviors toward the Palestinians reminiscent of those practiced by the persecutors of Europe's Jews. Considering that Israel and its supporters often proclaim that it is a Western-style democracy, and given the bit of history laid out above, we can ask if democracy and racist despotism can in fact be compatible. And, while the example of Israel serves as our backdrop for this query, we can consider the question generically. Can any democracy prove compatible with racist despotism? Historically, the answer is an obvious yes. All that needs to happen is that a powerful group within the nation identifies itself as a privileged elite and reserves democratic procedures and privileges for itself, while condemning others to discrimination, segregation, or worse. Again, this posture has nothing to do with Jewishness. Any ethnicity or self-identified group can adopt it -- based on color, religion, gender, or something else. The much-idealized ancient democracy of Athens did it based on gender and citizenship linked to birth. The United States ran as a selective democracy/racist despotism that practiced slavery until the middle of the 19th century while statutory discrimination persisted until the 1960s. Recent events indicate a revival of virulent white supremacism. If there is a remedy to this, it is in the rule of law functioning as an enforced regulatory process -- one linked to a tenets of human rights. The U.S. Bill of Rights and the UN Universal Declaration of Human Rights are good, if incomplete models. Politics, including democratic politics, has to be constitutionally regulated to assure equity (much like economies), and the regulations have to be applied consistently until they become ingrained as natural expectations within the consciousness of the citizenry. This probably requires generations of equalitarian practice. And, even then, what you achieve is the minimizing of the infiltration of corruptive bias, and other such variants corrosive of genuine democracy, into the system. The truth is that you probably cannot eliminate the threat altogether.